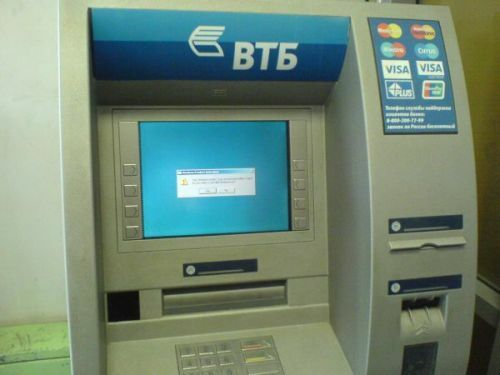 In Russian you can sometimes meet pirated copy of Windows even on ATM. 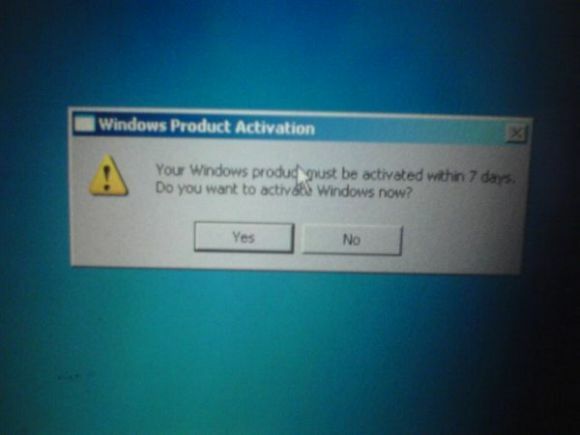 It warns that this copy of Windows need activation and the work of ATM gets interrupted. Ha-ha. That ATM belongs to 2nd Russian hugest bank – VTB (Vneshtorgbank). Maybe you heard it had placed shares on LSE and RTS not long ago within the IPO. It’s interesting how investors and stock bosses would react on this. Normally this should be done inside ATM Technology Unit before placing to customer locations. I would have expected they would just roll out a standard image of their software. I would be surprised if the software was not legit but if it is, expect much higher bank charges customers! Were is Texas1 these days? It funny how I’m actually starting to miss him. He blew a 50 amp fuse trying to keep all of his “stage personalities” straight. Texas1, why don’t you just use one screen name – Texas1? Anyway, your texas1 side is much nicer than your Bullwinckle, [email protected] and all other sides, which are offencive racist and provocative? Hmm…well he is preferable to the College Republicans and Wiki-Weenies that somehow appear when a flame war against Russia errupts. Lol! yes, he is on the rampage stabbing everyone with his American flag sining The Star-Spangled Banner. What people have to understand is that in Russia, they have professionals. But professional means something different. It means you get the job done, and sometimes that means doing it wrong but getting it done anyways. They should have used Linux or at least an activation crack for winXP. Who would even think to install windows on a mission critical piece of hardware such as an ATM? They should have been using Linux. Well, here in Switzerland, we have a lot of Linux based ATMs, so yes, I guess they do exist. I saw Linux only at the touch-sensitives ticket automats of the SBB (> kernel panic). Some one must find some place else to use their stolen credit or debit cards. Why is it in English? Um, shouldn’t they be using the Russian version? I set up ATMs for a living. This happens often. It’s not piracy at all. The Windows is licensed to be used on the ATM but needs to be activated within 30 days. A simple phone call. It’s not piracy. Now I know ATM’s use Windows, I think I may keep my cash under my mattress. Yeah, I might do the same too. Looks very similar to the ATM I used a few times near the subway station I alight. I hope they have good SSL and those security things. ah that sort of ATM. activated EVERY 30 days ? not exist such a 2k/XP version. and reactivate every 30 days[imagine number of ATM’s and related costs]-to expensive even for biggiest banks. so i gues its really counterfait. Its not pirated, its just not activated….haven’t they heard of norton ghost in russia?….n00bs…. Also, an ATM should use linux….. Very interesting to read it, thanks! I’m glad to have visited your blog and good to know you! I find it interesting and informative.use Linux or at least an activation crack for winXP.